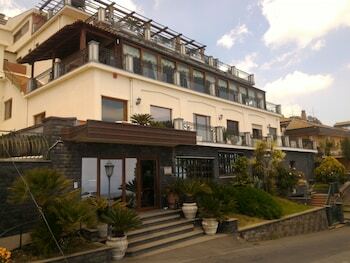 Located in Zafferana Etnea, Hotel Primavera dell'Etna is in a provincial park, within a 15-minute drive of Adventure Park Etna and Etna Park Visitor Center. Featured amenities include express check-in, express check-out, and multilingual staff. Event facilities at this hotel consist of conference space and meeting rooms. A roundtrip airport shuttle is provided for a surcharge (available on request), and free self parking is available onsite. When you stay at Tenuta la Campana in Asciano, you'll be 11 minutes by car from Crete Senesi. The front desk is staffed during limited hours. Free self parking is available onsite. Located in Temu, Albergo Eden is a 1-minute drive from Adamello and 6 minutes from Guerra Bianca Museum. Free self parking is available onsite. Located in Florence (Santissima Annunziata), Guest House Santambrogio is within a 15-minute walk of Cathedral of Saint Mary of the Flower and Basilica of Santa Croce.